I have not been blogging for more than two months now. Life has been busy with many things happening on a personal front and I really have no time to blog. But I am back for this particular entry because I had given my word that I would type a promo entry for the annual Pesta Raya event happening at Esplanade – Theatres on the Bay. Yes I know the various showcases, events and happenings begin today and this entry is kinda belated but I guess better late than never. Would just like to apologise to the kind peeps over at Esplanade for taking such a long time to post this. Without further ado, let’s get acquainted with this year’s offerings. 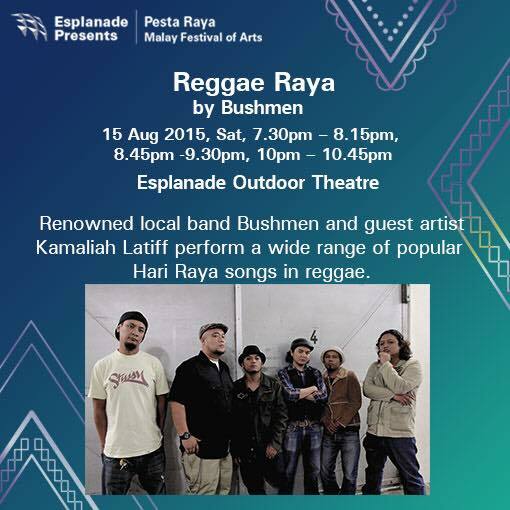 Esplanade – Theatres on the Bay’s annual cultural festival, Pesta Raya – Malay Festival of Arts which coincides with the Hari Raya Aidilfitri festivities, is taking place this year from 13 to 16 August 2015. In celebration of the nation’s Golden Jubilee, the 14th edition of Pesta Raya pays tribute and honours Singapore’s Malay cultural icons and treasures including its first President Yusof Ishak, popular female Malay songstress of the golden era Nona Asiah, and Pop Yeh-Yeh singer Salim I. 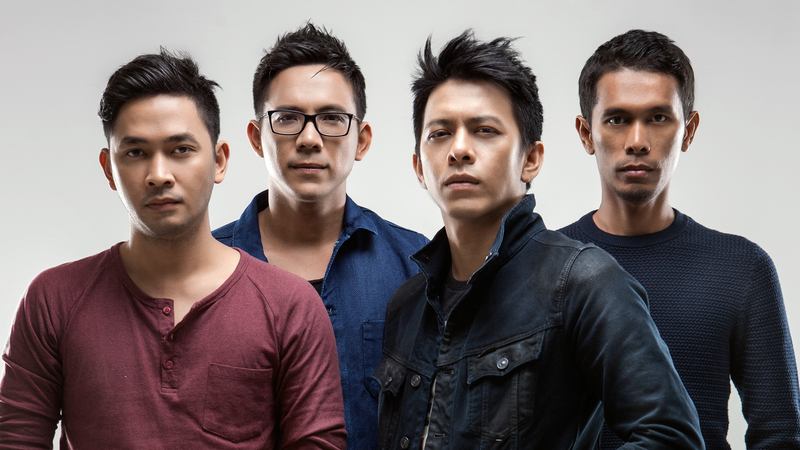 Younger audiences can also look forward to music performances by pop rock band NOAH, hip-hop artiste Altimet, experimental progressive rock group Pitahati and popular Singapore reggae band Bushmen. For four days, the centre comes alive with some of the best traditional and contemporary Malay music, theatre and dance performances from Southeast Asia. Said Hanie Nadia Hamzah, Programmer, The Esplanade Co Ltd, “The month-long celebration of Hari Raya Aidilfitri is where tradition and culture are upheld at the highest level and passed on to the younger generation. Similarly Pesta Raya’s celebration of culture through various art forms instills a strong sense of pride within the Malay community, especially the young as many of the programmes are planned with them in mind. In experiencing these performances, we hope they can also enjoy the varied performances taking place during the festival and rediscover their heritage. This year, we also invite our audiences to treasure and celebrate the gems that are at the heart of the Malay community as we learn more about their contributions to Singapore. 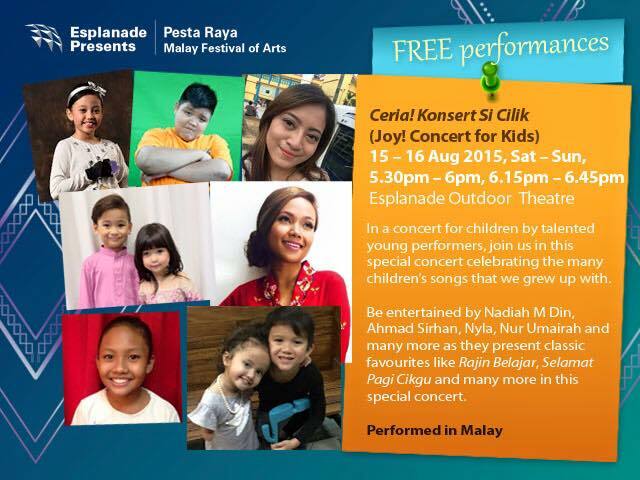 Pesta Raya features exciting programmes that younger audiences can look forward to. At the Esplanade Concert Hall for one night only, Bandung-based alternative pop rock outfit NOAH (previously known as Peterpan) performs songs off their album Second Chance and earlier album as well. At the Esplanade Recital Studio, contemporary music fans can look forward to the debut solo concerts by two sets of Malaysian artistes – award-winning hip-hop artiste Altimet, who will perform with his 10-piece band, and five-piece experimental progressive rock group Pitahati, who will engage listeners with their poetic lyrics inspired by the Nusantara. 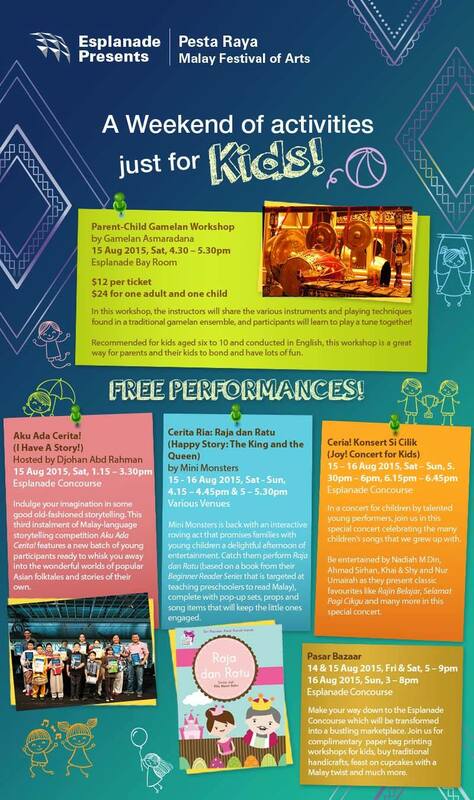 Younger audiences can look forward to children’s roving theatre performances at the Concourse and Forecourt as well as “Aku Ada Cerita” – the festival’s popular story telling platform helmed by Djohan bin Abdul Rahman, who is affectionately known as “Bobo” for his stint in hit children’s programmes such as Aksi Mat Yoyo and Bengkel Kanak-Kanak in the 1980s. As part of Esplanade’s commitment to support Singapore practitioners in the creation of new works, this year’s Festival Commission is written and directed by Zizi Azah. Produced by Esplanade and titled “YUSOF“, this play delves into the life and times of Singapore’s first president, Yusof Ishak, offering a rare glimpse into this extraordinary leader who dedicated his life in service of Singapore. Based on research and interviews by Zizi, this production stars award-winning actor Sani Hussin as Yusof Ishak, as well as familiar faces Dalifah Shahril, Erwin Shah Ismail, Farah Ong, Najib Soiman and National Arts Council’s Young Artist Award winner – Siti Khalijah Zainal. Based on ticket sales, this production is almost sold out with the show on Friday 14 August 2015 at 8:00pm, the only one with limited tickets available. The other shows are all sold out!!! This year, the festival pays tribute and honours musical icon of Singapore’s golden age of Malay film – Nona Asiah – with the concert “Si Cempaka Biru: Celebrating the life of Nona Asiah“. 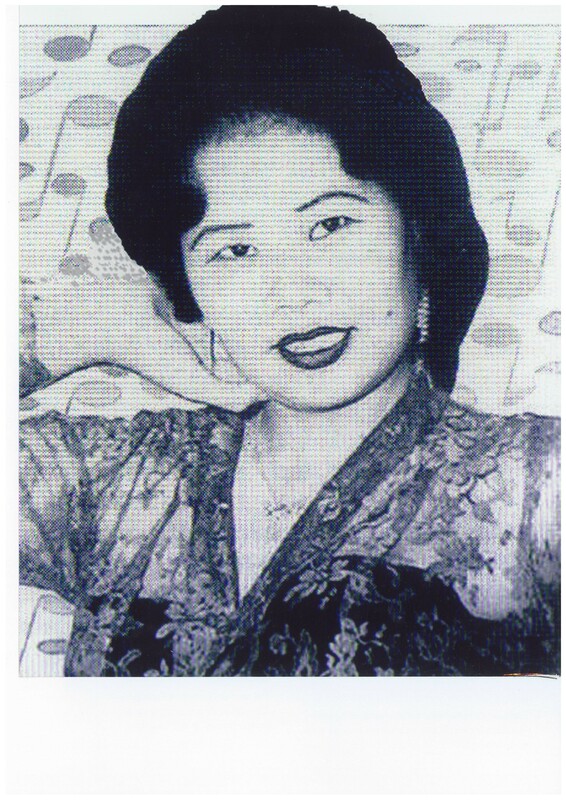 As one of the pioneering playback singers and music educators who have made an impact on the Singapore arts and entertainment scene, many will remember her tunes including Chinta (1948) her duet with P. Ramlee. 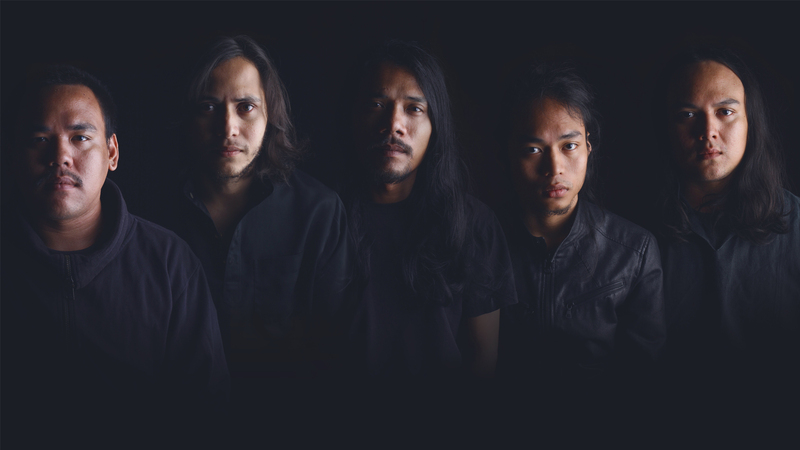 Directed by Najip Ali and led by music directors Indra Shahril who is also her son, and Amri Amin. This concert also features Orkestra Melayu Singapura and singers Aisyah Aziz, Amni Musfirah, Rudy Djoharnean, Imran Ajmain and many more. An exhibition featuring a selection of old photos, newspaper cuttings and also clothes designed by Nona Asiah will be on display at the Festival Corner. In celebration of Malay songs through the years, the festival also pays tribute to Singaporean Pop Yeh-Yeh singer – Salim I, with a performance by his son Rudi, who will perform familiar tunes which will take audiences back to the good old days. Esplanade’s community engagement programme, which leverages on the centre’s accessible and wide-ranging annual calendar, aims to bring the joy of the arts to community groups and beneficiaries of Voluntary Welfare Organisations (VWOs). In conjunction with Pesta Raya, the centre will organize a series of introductory Angklung workshops for nine VWOs. From 4 June to 24 July 2015, over 250 participants learned about the history of this traditional art form and had the opportunity to learn and perform Malay folk songs, experiencing the joy of playing music together, reminiscing the nostalgic years of gotong-royong (kampung spirit), while enhancing their motor skills and learning the importance of teamwork. In addition to these programmes, everyone is invited to enjoy the free performances presented at Esplanade which provide a window to the cultures of the Malays in the region. Throughout the four-day festival, patrons can enjoy a variety of music and dance performances such as The Great Malay Songbook by Cheryl Tan and Aaron Khaled at the Concourse, and song and iconic dance routines of prominent films such as Pesta Muda Mudi, Nujum Pak Belalang, Semerah Padi and more. Members of the public can also attend free talks at library@esplanade on Malay culture, films and architecture helmed by educator Asnida Daud, director M. Raihan Halim and Assistant Professor Dr. Imran Tajudeen respectively. Back by popular demand, the marketplace Pasar Pesta returns at the Upper Concourse with a wide range of traditional handicraft as well as specially curated food vendors selling Malay-flavoured artisanal cupcakes with flavours such as Beef Rendang and Nasi Lemak. Pesta Raya – Malay Festival of Arts 2015 is made possible with the generous support of Singapore Press Holdings & SPH Gift of Music series, and free programme supporters: Bowen Enterprises Pte Ltd and City Gas Pte Ltd (as Trustee). The programme supporter of “YUSOF” is Second Chance Properties Ltd. Tickets for Pesta Raya – Malay Festival of Arts 2015 are available from Esplanade’s Box Office at Mezzanine level (Tel: +65 68288377), the SISTIC Hotline (Tel: +65 63485555) and all SISTIC outlets. More information on the festival may also be found at www.pestaraya.com. Collect limited edition SG50 magnets during the festival! Promoting active ageing through the arts under SG50 Seniors package, seniors can enjoy up to 50% savings for four Esplanade Presents festivals – Pesta Raya – Malay Festival of Arts, Moonfest – A Mid-Autumn Celebration, A Date with Friends, and Kalaa Utsavam – Indian Festival of Arts. Esplanade – Theatres on the Bay’s Esplanade & Me cardholders will get to enjoy special ticket prices for various performances at Pesta Raya – Malay Festival of Arts 2015. Launched on 1st July 2015, Esplanade & Me is a platform for Esplanade to build stronger community ties with its fans and supporters. Beyond the savings that cardholders can enjoy across Esplanade’s festivals and programmes all year round, Esplanade & Me is also an opportunity for arts lovers to get closer to the arts and be more involved through various behind-the-scenes activities. Sign up for Esplanade & Me now! For more information, please log on to Esplanade’s brand new website at www.esplanade.com.